After Tempo’s victory over visiting Belcoo on Tuesday evening, this has left both teams tied at the top of their section in the Derrygonnelly tournament, both teams having won 3 matches and lost 1. A playoff is required to determine which of the two teams will play in the final against the winners from the other section. This playoff has been scheduled for Saturday evening at 5pm, in Derrygonnelly. Leaving Tempo at 4pm. The U10 game against Belcoo is scheduled for this evening, Tuesday, at 7.30 in Tempo. Players to be on the field at 7pm. U10s have training tomorrow evening at 7pm. Belcoo match has been rescheduled to 7.30pm on Tuesday in Tempo, meeting at the field at 7pm. 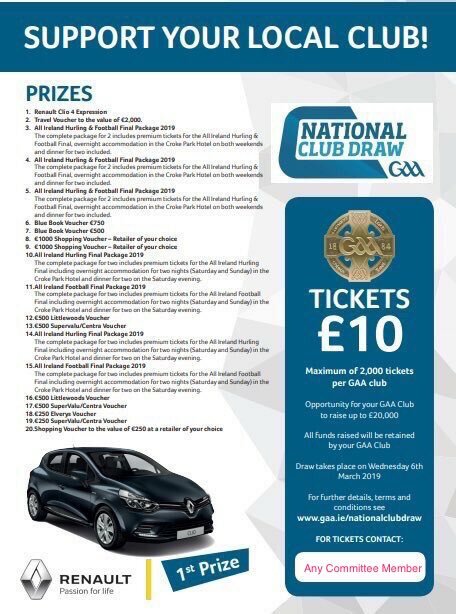 Sun 15th May Challenge game v Antrim club Glenavey. Meeting at the field 11am SHARP. Refreshments afterwards. Finishing at 1pm. Please bring a gum shield and drink. Mums (or dads) a small tray of sandwiches would be greatly appreciated and some help in the kitchen if possible. Thank you. Tempo Og starts again on Sun 5 June. Cul Camps dates 25th July- 29th July. Derrygonnelly Tournament starts Thurs 12th May. There will be a minimum of 4 games—TWO Home games and TWO Away games. The two best teams play in the Final, The rest of the teams play in a blitz. 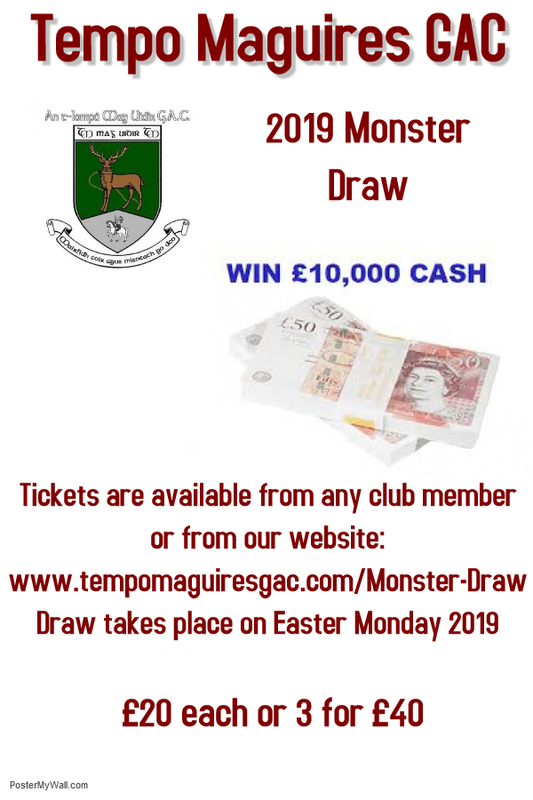 Sun 15 May- CHALLENGE GAME v Antrim Team Glenavey, in Tempo. Meet at the field for 11 am sharp. Refreshments afterwards finishing at 1 pm. Mums (or Dads), a small tray of sandwiches would be greatly appreciated and some help in the kitchen if possible. Thank you. For ALL Games please remember to bring a gum shield and drink. Forms Available OR Apply online.